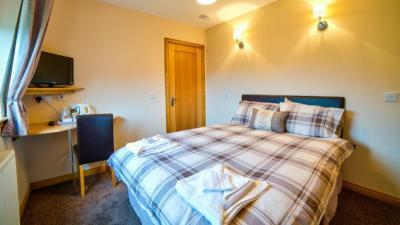 Lock in a great price for Kilcumin Guest House - rated 9.2 by recent guests. 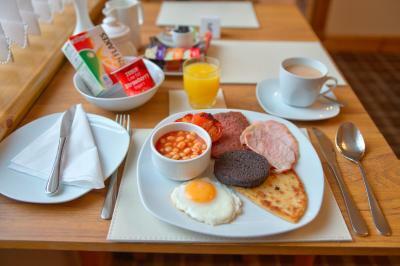 The lady who served us breakfast (the proprietor's mother) was very helpful to us in recommending visiting the site of Culloden battlefield and Clava Cairns. If it wasn't for her we would have not been aware of what turned out to be two very interesting sites. Lovely owner & amazing breakfast. Quiet street. Easy car parking. Close to centre. Warm welcome. 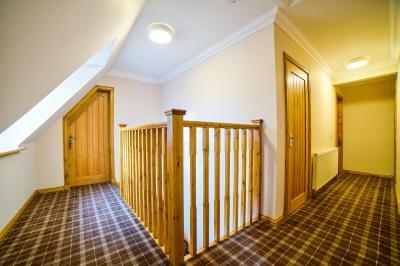 Parking close to the property and within a few minutes walk to the pubs and restaurants. Tasty freshly cooked breakfast. Friendly local people. Very comfortable. Handy for the town center. 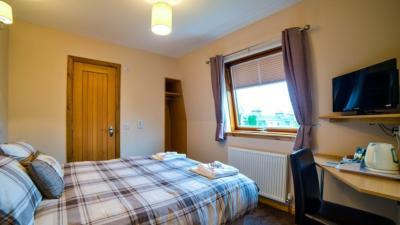 The room was really clean and nicely decorated. 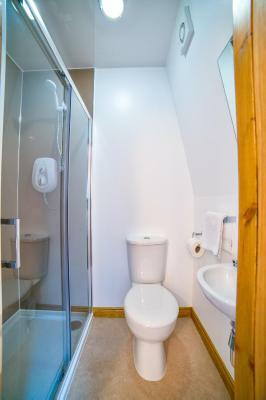 The bathroom, whilst small, also looked really new and clean. The room was warm and the bed comfortable. Had a great breakfast as well. 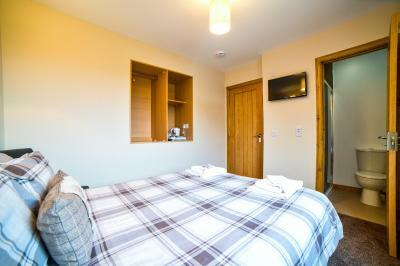 very friendly welcome, beautiful accommodation, small but perfectly adequate, decorated to a high standard. The bookable parking was good too as this could have been a problem so close to the town centre. Made to feel welcome and the breakfast was lovely. 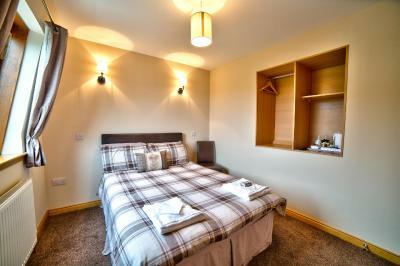 Very comfortable, easy walk into city centre, lots of restaurants to choose from. Chrissie and Islay were warm hosts, nice breakfast included. 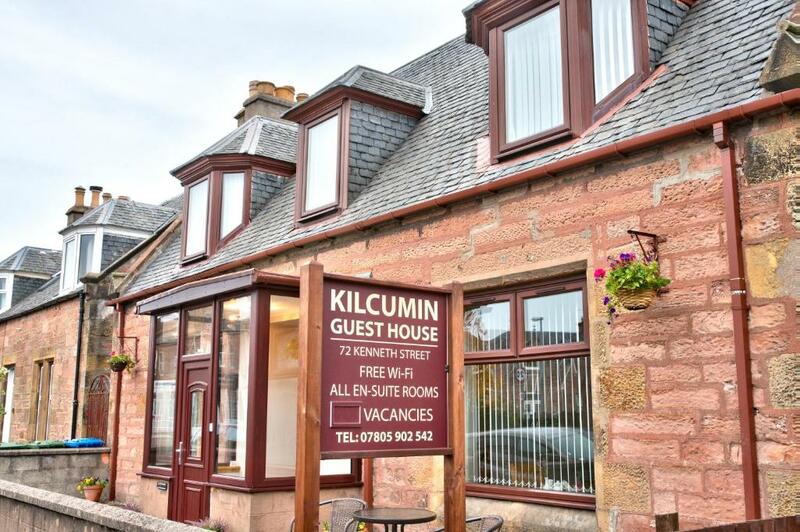 Kilcumin Guest House is situated in Inverness and offers accommodation with a garden and free WiFi, 0.7 miles from Inverness Castle and less than 0.6 miles from Caledonian Canal. 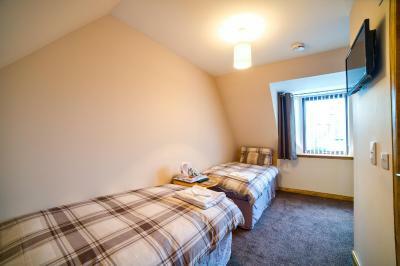 University of the Highlands and Islands, Inverness is 3.7 miles from the bed and breakfast, while Inverness Museum and Art Gallery is 750 yards away. 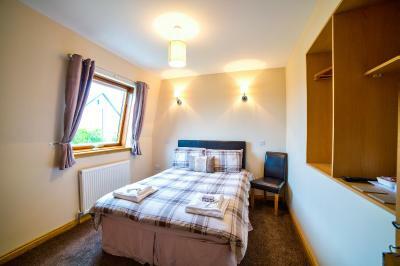 Inverness Airport is 9.9 miles from the property. Kilcumin Guest House has been welcoming Booking.com guests since 15 Mar 2016. 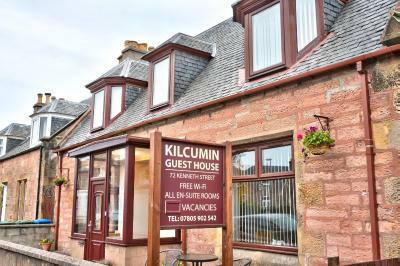 When would you like to stay at Kilcumin Guest House? House rules Kilcumin Guest House takes special requests - add in the next step! Kilcumin Guest House accepts these cards and reserves the right to temporarily hold an amount prior to arrival. 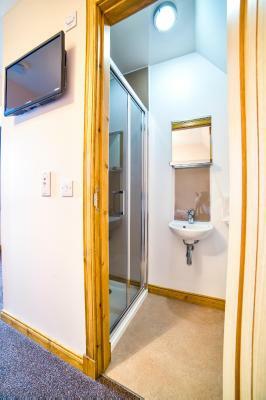 Please inform Kilcumin Guest House in advance of your expected arrival time. You can use the Special Requests box when booking, or contact the property directly with the contact details provided in your confirmation. There was building work going on at the time of our stay which caused some disruption but nothing you could not deal with. The location was good and the people were super friendly and helpful. 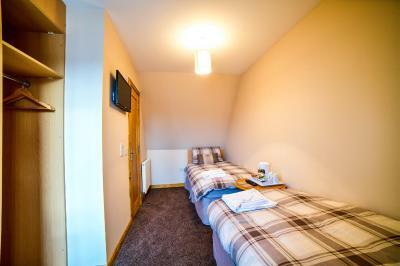 The accommodation was also extremely clean. The only difficulty was a problem with the heating - but I had been supplied with an electric heater and this was totally fine - so was still warm. Absolutely nothing it was all amazing thank you. The interior was gorgeous, great colour schemes and my girlfriend loved the carpets. The breakfast is great perfect amount to start your day. Even a helpful phrase given to me by the owners mother in Scottish Gaelic to tell to my girlfriend which got me extra brownie points. The breakfast was excellent and always cooked fresh. The place was kept spotless and the ladies were the perfect hosts. Bonus was free parking directly outside. Host was warm and friendly, engaging, made great scones, great breakfast, gave us information for our sightseeing, made it feel like it was home from home, and the location was ace.